Eater: To be direct, how is PTT not a reservation scalper? KB: It's simply not. The business is not scalping tables. This is a service. In NY people outsource everything from walking their dogs to doing their laundry. Clients of PTT don't have the time or patience to call a month in advance for their reservations, nor do they want their personal assistants on the phone all day with restaurants. PrimeTimeTables charges their customers for the service of providing reservations. It is so hard to get a reservation in NY between 7 and 9 PM. Sure anyone can go to dinner on their own at 5 or 10, but who wants to? The people who use the service are very busy and often don't know 30 days ahead of time where they'll be eating. These are executives at Sony, Citigroup, Bear Stearns, Deutsch Bank. Let's say Mr. Yamaguchi is in town for a $19 billion deal. He's not going to worry about where the deal-making meal is going to be. Eater: How do you think restaurateurs, your clients or otherwise, feel about him tying up their tables? KB: I think restaurants should be saying thank you. The PrimeTimeTable client is well-heeled. It's the type of client restaurants should want. These are tables that are going to be ordering expensive wine and not worrying about the bill; real diners, business executives with real income. The bottom line is that the restaurateurs he's spoken to don't mind at all. Plus, he doesn't book huge blocks of tables. He books to anticipate his demand and any tables he doesn't use are canceled by noon, day-of. If he tried to get a table back at 12:05 it'd be gone. For one, the response "the restaurateurs don't mind at all" is rather breezy, compared to actual reactions. Also, "real diners"? Where does that leave those of us who are not "business executives with real income"? It seems to me that many of these business executives are happy at, say, the Capital Grill or Smith and Wollensky's -- meat, liquor, attractive (and extraordinarily patient) servers seems to be a winning formula. This means more tables for the rest of us at more interesting places, or, I guess, it used to. *A: It's simply not. Just watch tonight and see. An interesting overview of the evolution of Grimace, from four-armed bad guy to two-armed BFF of Ronald. (Via TFS.) Not such a surprise, really. 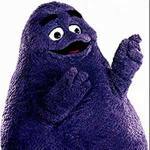 If a Kentucky Colonel can carry on like he's in a step show, why shouldn't Grimace be able to cull 33% of his limbs, and abandon the Dark Side? I suspect that this kind of fluidity is not accidental, as the fast food industry seems to be especially robust when words cease to have meaning. To be fair, restaurants at the other end of the spectrum are also casual about language, and use frozen fries, to boot. 2007: the worm has turned, and Nancy Pelosi and food bloggers are in the driver's seat. No, seriously. With the exception of a few prominent folks who happen to write about food in this medium, I can't see the staff at many restaurants getting their touques in a twist when a server whispers "Probable blogger at Table 12!" It does seem that, emboldened by the the Sirio Shakedown, that more than a few clowns with laptops and DSL will dub themselves bloggers, make themselves known at restaurants, and then be frosted when Daniel Humm does not shimmer up to their table, proffering comped squab amuses. We can only hope that the newly established certification program for food bloggers will forestall these excesses. --In terms of the relative needs of visitors and residents, the city is in danger of becoming a 3D Potemkin village. 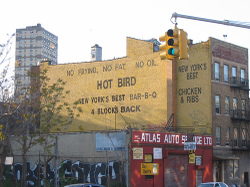 In many ways it looks and seems like a city -- one can fly into an airport, take a cab to a good hotel, and eat rabbit cooked two ways over artichokes barigoule with a muscadine reduction, or a crawfish pie, but it's hard to mail a letter. You can hear all sorts of live music, but garbage collection remains a chancy thing. I worry, that in this melange of chaos and hyperconsumption, New Orleans may be the city of the future. --Geaux. Like the rest of America, it makes me happy to see the Saints doing so well. Personally, rather than the "Finally, a Bush we all can agree on" I would have preferred bumper stickers that said "Finally, a Bush who does not systematically screw us, and is good at his job." As a Patriots fan, I dread the one in four chance of a matchup between the ruthless and efficient organization that won 3 of the last 5 Super Bowls, and the repository of the hopes and dreams of a city that has endured tragedy on a Biblical scale. However, and I want to be on the record on this regardless of what happens this Sunday, I'll root for the Pats, no matter what, and I worry about what happens if the Saints win the next one or two games. Outside of New Orleans, folks are preoccupied by the war, American Idol, sick pets, whatever, and simply do not have the will to track recovery efforts in any detail. As Will Leitch has been suggesting on Deadspin in one way or another, if the Saints win, it will send a message to the rest of the country that things are okay in New Orleans. They are not okay. I certainly do not have the heart to tell Saints fans that it would be better for the city if they lost to the Bears, because I don't think that's true. Against the onslaught of stories from Fox, ESPN, etc that will inevitably herald the rebirth of New Orleans, so I'll point out to the 36 or so loyal readers I have, plus the stragglers looking for compromising video of FN stars, and whomever else wanders by, that when Brazil has wins World Cups, very little changes about life in the favelas. It would be reasonable to expect that even if the Lombardi Trophy finds its way to Poydras St., there will still be plenty of lives to put back together. --Finally, on a smaller scale, I've been chatting with some folks about the Gabrielle saga. Basically, a chef is trying, post-K to open his restaurant in a new location. His neighbors, worried about parking, do not want him to. I can see both sides, and would welcome thoughts from anyone familiar with the situation. --In conclusion, and to reiterate: Go. Punch MSY into your browser, and see what kind of flights you can get. You can still eat better there at more levels than anywhere else I've been. 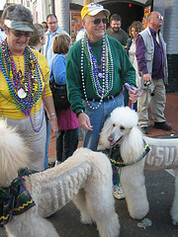 But put down the beignet, and pick up the Times-Picayune, talk to residents, and keep your eyes open. Despite the total lack of any indication of it here, I have in fact been cooking, rather than subsisting on sacks of Zapp's I smuggled out of New Orleans. Right before Christmas, I made a lot of stock, and much of that has found its way into what I've been cooking. The only really salient general observation I can pass on, and I've said it before, is that having real stock to hand makes a huge difference. With real stock, you are only an onion and a carrot away from Lentiles du puy, presuming you keep lentils and bacon in the house. Even though hydrocarbons increasingly make winter an abstraction, there is a satisfaction in pulling a meal together out of the larder. The cinetrix and I were able to entertain on relatively short notice on MLK day largely out of the freezer. Another gnocchi undercard, (different crowd), and a soup: a rough (very) celery/onion/carrot brunoise, some of the pancetta I cured diced, chestnuts out of the freezer, and real stock. I had cooked wild rice to hand to add, but it was plenty hearty with the chestnuts, which are a Coulter to peel, but worth it. But I digress. The first actual news out of the Gurgling Cod Test Kitchen is the Hot Bird. As my record reflects, I am a big fan of the Zuni cookbook, especially her chicken technique: instead of brining, you rub the bird with salt, put herbs under the skin and let it sit for 1-3 days. I've done it with sage, and been happy with the outcome, but wondered what would happen if instead of sage, I used a ton of dried Arbol peppers? Loosening the skin of the chicken requires a bit of patience and finesse -- if you start at the tail, you can do it pretty easily if you work index and middle fingers between skin and flesh, and gradually expand the opening, working around to the seam where the beast, leg, and wing meet. Then it is a question of getting peppers next to the flesh of the bird. The subcutaneous pepper insertion was a bit tricky -- unlike sage, the peppers are sharp, and want to rip the skin of the bird. Next time, I might try soaking the peppers in sherry to soften them. I used probably about 50 peppers-- most along the breast. Efforts to pepper the drumsticks were less successful. Then I salted the exterior of the bird, as per Judy's directions. I used maybe a bit more than the 3/4 tsp per pound she mandates. Then the bird went on a trivet on a plate in the fridge, with a clean dishtowel over. You want air to circulate, and ideally for the chicken not to drip on food you plan to eat in the interim. At the long end of the 1-3 days of salting Zuni suggests, the bird went in the oven. According to Zuni, rather than greasing up the bird, you preheat the pan on the stove. In it went, at 475, then down to 450. After about 25 minutes, it got flipped breast-side-down, for another 15-20. I brought it out, and decided to put it in breast-side-up for a moment or two to crisp the skin. I let it rest while I dealt with the salad, and the drippings and then carved. The appearance is disconcerting. (Having given up on taking pictures of food I cook, am looking into hiring a courtroom sketch artist.) The peppers make the breast lumpy, and they must be removed before carving. I peeled the skin back, and took thin slices of breast, garnished with a little bit of skin. (Hello, Google!) Pouring off the fat, I deglazed the pan with cheap white wine, added some chicken stock, and cooked it down. The result was a little salty, so I mounted with more unsalted butter than usual. It was good. The Zuni technique gives you flavorful flesh, and crisp skin. With this seasoning, the impression was like a more refined Buffalo wing. When I make this again, I think even more peppers and less salt would be better. *The gnocchi w/ brown butter are really good. Thanks to LaD. As for the OB, watch out for Flinstone-sized shanks. After Crepe Nanou,* we rolled across the street to Creole Creamery. I was full of mussels and other good things, but as a wise person once observed, "ice cream fills in the cracks." CC pushes the flavor envelope pretty agressively, harder even than Cristina's. I had a small dish of chocwork orange. Then cinetrix and I were on the radio, guests of our gracious host. Then a brief stop at the Maple Leaf, where Re-Birth was playing. The venue was prohibitively crowded, which was frustrating, but it did allow us to enjoy the spectacle of a prominent local chef relaxing on the pool table in his boxers. The next day, our last, did give me the chance to get my Bluebird on, with an old friend we'll call Cookie. I googled to find a link with address and hours, but the story of the man asking for Huevos Rancheros as he roused from a coma tells you what you need to know. In a town where coma-inducing food is not unknown, a coma-ending dish is worth remembering. Be mindful, post-K, they are only open Wed-Sun, and only until 3 pm. Our visit was winding down. We collected cinetrix from Rue De La Course, where she had been doing some for-profit internet type stuff. Our friends, Big & Tall, were tailgating for the Sugar Bowl, and we stopped by to evaluate their football preparedness levels. This was my first SEC tailgate, and it was educational. At least in this lot, there was an emphasis on campers. Campers have bathrooms, which is useful. The level of football preparedness was high: before noon for a seven pm kick, the grill was going, and we were plied with beer from full coolers. It may have been the bowl, and the experience of tailgating adjacent to a major city's financial district, but I did not see the kind of wretched excess I expected from LSU tailgaters in this lot. I saw lots of sausages and pork chops -- solid, fundamentally sound tailgating, but I expected to see whole live gators being deep fried in converted tanker trucks -- but perhaps that kind of thing only happens at LSU/Florida games. The poodles with "LSU" and "Go Tigers" wre impressive. We saw them the next day, when they had been dyed purple and gold. I was also impressed with the young and plucky ND tailgaters adjacent, who had made the trip from Indiana with case upon case of Natty Light, and an awl, which they employed to consume the beer more efficiently. We bid adieu to Big & Tall, and headed to the airport. To my shock and horror, I realized that I'd been po-boy free for well over 24 hours. We had some time before our flight , and there was one of those perverse airport outposts of a notable dining institution. 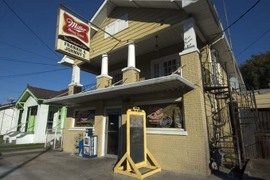 In this case, it was the Acme Oyster House. In Miami, I'd pulled a similar stunt with the MIA La Careta. Here, the effort to wring one more culinary moment out of a trip was more of a letdown. The other sandwiches had set a higher standard, and the shrimp and oyster po-boy was indifferently prepared and grossly overpriced. Still pretty good, though in a perfect world, a stop by Central Grocery on the way to the airport would have been a better call. That concludes the itinerary. As time allows, a few more thoughts on the experience. *Last night, I fished in my pocket for some matches, and came up with a book from Crepe Nanou. What I had not noticed before is that on the inside of the matchbook are places to fill in your name and phone number. Conceivably, this could be so that a well-meaning stranger can return your matches to you, when you lose them, like the anoraks of childhood. However, one could, I imagine, write one's name and number on the insde of a book, slip it to an attractive stranger, and precipitate a liason! It's almost like Crepe Nanou has a line of carriages stretching down Prytania St. Tomorrow, our second album, "If Only You Were Lonely" will be in stores. You buying our album tomorrow has much greater meaning than simply supporting Hawthorne Heights. ROCK music needs your support. Our society and culture has put rock music on the backburner. If our album can debut at #1 all of us will have taken ROCK music back to the top of the charts where it belongs. You might ask, how has ROCK been put on the backburner? A current example is an artist that we are up against called Ne-Yo. Many people are saying that Ne-Yo is going to outsell us because Ne-Yo has had a tremendous amount of over the top, mainstream media coverage. His album will be in stores tomorrow. Radio has played his single 160,000 times. Our single has been played 3,800 times. 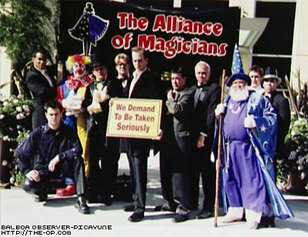 We know that does not seem possible but it is the truth. Ne-Yo is on a major label. Hawthorne Heights is on an independent label. ROCK music needs to win tomorrow. It all comes down to the next six days and maximizing our sales at as many stores as possible. We are neck-and-neck with this Ne-yo character on Universal and we need everyone out there tilting the tide in our favor. Our projected numbers for first week sales are about even so we really need to make every unit count if we want to win. This is most important in stores were we are competing with Ne-yo, which is in the big chains that sell pop and urban product. No word yet if Casey Calvert to run for office on the anti-fried chcken and hip hop platform, but really, can't think of a better day than today to announce such a campaign. NY clubs to install hair de-frizzers. 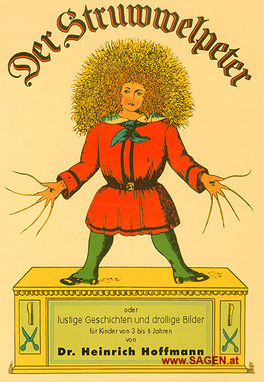 I'll need two for my new gastropub, Struwwelpeter's. I mentioned this development to the cinetrix, who pointed out a few wrinkles. Do the installers of these machines anticipate that ladies will a) arrive early and rush to these machines, so as to greet their dates in a state of coiffed compusure? Or b) will patrons, a la Klymaxx, excuse themselves, notice their frizz, address it, and return to the table with a radically different look. The accompanying fotos suggest what a disconcerting effect such a transformation might have.